Regardless of your religious beliefs or spiritual practices, the centuries-old tradition of Hanukkah contains a powerful message that I believe speaks to each and every one of us. If you’re not familiar with the story of Hanukkah, I invite you to explore with me the history behind this holy Jewish holiday, what it means to me, and how you can learn from it and apply its teachings to achieving your own dreams. 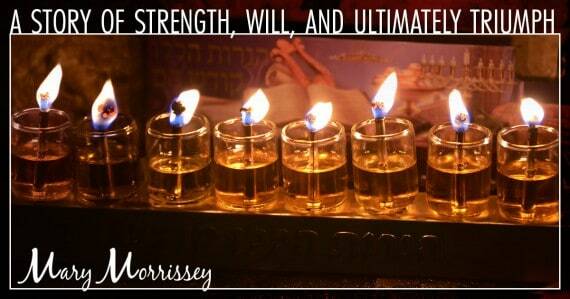 The story of Hanukkah is one of strength, will, and ultimately triumph over what was once perceived to be impossible. More than 2,000 years ago, Israel was under siege by a foreign ruler who sought to strip the Jewish people of everything they had ever believed in. Judaism was outlawed and their sacred temple was desecrated. Together, the Jewish people rose up against their oppressors, determined to take back what was rightfully theirs. After a three-year long battle and against incredible odds, they took back Jerusalem and their holy temple, but that’s not where the story ends. When it came time to rededicate the Second Temple with the ceremonial, eight-day lighting of the menorah, the people realized that they only had enough oil to light it for just one night. Rather than give up and abandon their tradition, they decided to move on with what they had—just enough oil to light the menorah for one day. Miraculously, as they days passed, the menorah stayed lit. For eight days, they had light. It was truly a miracle! The supply was only enough for one day, yet everything that was required was provided. Why? Because they believed it was possible! There is always enough when you are connected to Infinite Intelligence. 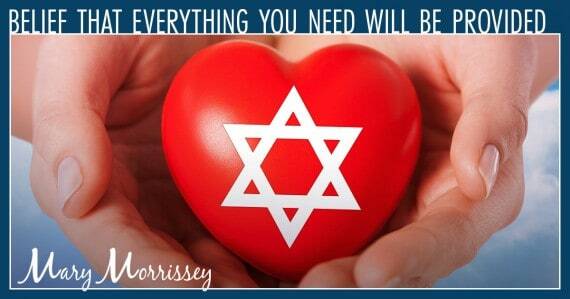 The miracle of Hanukkah is a lesson we can all learn from. If you look at what you have and think to yourself, “It’s not enough,” you’re closing yourself off from all of the wonderful possibilities available to you. Yet if you open yourself up to the power of Infinite Intelligence, be it the universe or your higher power, you’ll truly start believing that everything you need will be provided. You’ll invite miracles into your life! If you stop where you are now, if you don’t even try, how will you feel? Defeated? Disappointed? Maybe even lost? Infinite Intelligence is an ever-present entity that’s here to guide you and provide for you at all times. It never goes away and it is forever expanding. The key is to know how to tune into Infinite Intelligence so that you can allow its power to flow through you. For many of us, though, doing this can be a big challenge. I think about my son, who was living in Mexico with his wife and three kids in a tiny little house that was nearly bursting at the seams. He was happy in his career and family life, but he dreamed of a bigger home—a place where could comfortably raise a growing family for years to come. At the time, this dream was more of a fleeting thought because in his mind, he didn’t have enough to make it happen. He didn’t have enough money. He didn’t have the resources to finance a mortgage. He didn’t even know where to start! I reminded him that anything is possible when you open yourself up to the possibilities. But the fact is, my son felt stuck because of his fixed mindset. So I helped guide him back to a state of being that was welcoming the universe, with all of its wisdom and power, to provide the answers. One of the easiest ways to do this is through repetitive visualization. First, picture what your dream looks like. Maybe even write it down or draw it out to solidify the image in your head. Then, any time you start to feel discouraged, pull up this picture in your mind. Keep doing this long enough, and you’ll soon be able to imagine what you’ll actually feel like once you’ve achieved your dream. When you can vividly see and feel your dream at its fruition, you’ll know you’ve connected with Infinite Intelligence. Another way to harness the power of Infinite Intelligence, or abundance, is by practicing gratitude every day. Think about the Judaeans after they lost their religious freedom… how do you think they were able to defeat their enemy? Where did they get the strength to fight for three years? And how could they be sure that that one little bit of oil would be enough to light the menorah for eight days? Because they were grateful for what they had. How can you fight for something if you’re not grateful for what you have? How can you fight for someone if you’re not grateful for them in the first place? You fight for what you love, and you love because you are grateful. So tell me, what are you grateful for today? Leave your gratitude in the comments below, I’d love to hear from you! Now, to show my gratitude to you, I’d like to give you a FREE gift that will help you focus your mind in a way that allows you to more easily tune in to the world of opportunity and good that is all around you. 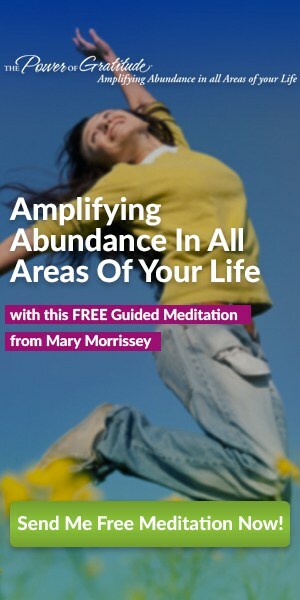 I’m offering you a free session from my Grateful: Happy, Healthy & Wealthy guided audio meditation! Let me help you take that next step towards creating the life you truly love living. Download your free guided meditation here! I’m thankful for the beauty of nature and the beautiful souls of animals and of course, for people like you Mary who seek to make the lives of others better and ask nothing in return. How wonderful! Thank you Mary. In this time of great division your universal message of love and gratitude is so welcome and healing. I loved the story of Hanukkah! Today I am grateful because of things like this community. The fact that I have a beautiful husband, children, home, life is beyond my wildest dreams. I give thanks for our health and love. I give thanks for healthy food and love. Yoga and meditation. The holidays. Rain. The sun. Just grateful. Thank you for your article and all you give so freely. It’s making a huge difference in this families life. Peace to all like I have in my heart. Blessings. I am grateful for my amazing little daughter, for the time I get to spend with her, and for our home together. Thank-you Mary and Happy Holidays to you and your Family! I’m grateful for having the opportunity to submit a proposal to write an article and speak at the next World Congress on Brain Injury in Toronto, Ontario, Canada. I’m an over 48 year survivor of a severe closed head injury and I did it because I could. Thank you Mary this came in just as I was requiring a reminder…I am infinitely grateful to you for sharing with us your wisdom, I am a certified wellness health coach since 2012, working as a caregiver personal assistant and companion for the elderly for the past 20 years, always practicing my approach towards life, lovingly living and sharing a quality of life, in gratitude and appreciation for everyone, every single thing, everyday, every where. These couple past few days, especially today my heart was sinking, reality of challenges in health, and finding work…with Spirit by my side…still feeling the anguish of my present situation…. taking deep breaths as I write this, since it’s very emotional to share, I am 61 years lived in very unique life of service and purpose mostly learning all paths of spirituality, never married or had children… finding myself looking at my life … I have always relied on the endless infinite possibilities available to us from universal law…. today you are here to remind me that with a wonderful gift… I live in beautiful Carlsbad, moved here in 2016, to start fresh…once again… had an interview with the Choppra Center, the position was not aligned with my path of service… it’s taken a few years to finally have my own space, a beautiful Casita (studio guest house) I share with my Kitty that’s been my companion through my travels and adventures…my Sacred Space is everything I envisioned…. sooo grateful for my home. My last client left me early October still constantly interviewing.. funding is very challenging to meet my commitments now going into December. I have so many gifts to share … waiting for a nonprofit organization to get back to me …Since I am striving to work assisting an organization with a younger generation… I am very mystical in my approach to life…still listening to that inner guidance…just as I opened my emails … yours is a fresh reminder to reconcile the anguish that was dwelling inside me all night…thank you again… the light is shining once again in my heart….your Hanukkah share is wonderful and so inspiring! In my twenties I worked corporate as a business manager…then, as a governess to help me heal from a toxic relationship and traveled to Jerusalem, Israel staying there for three months in care of the children. Through my thirties I created and run my own B&B in Baja California since the recession of late 80’s and early 90’s was going strong in USA…loosing my lease after eight years of a wonderful experience… came back with a sense of purposed living, so I decided to work assisting the elderly, traveled to different cities and states.. now I’m in a new transition… open to the ALL possibilities !!! 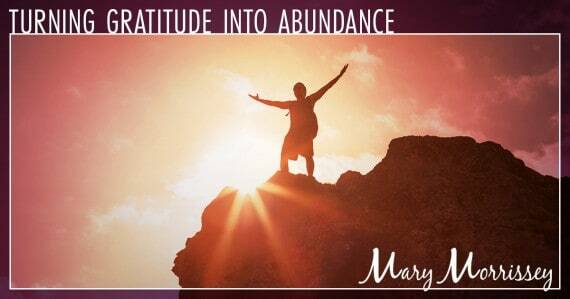 With immense gratitude to you always Mary! Your reminder came just in time to refuel my heart!!! I’m grateful that my special child is again doing well in school. I uprooted from my “dream” job to another country, starting at the bottom of my career chain again to ensure that my child can learn to be happy again. Today I’m truly giving thanks because it’s rough for us financially but she is happy. Grateful, grateful, grateful!! !